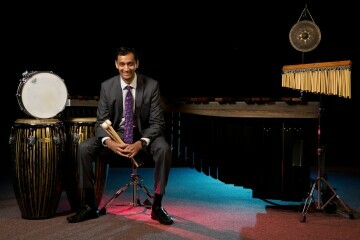 The Bozeman Symphony performs at Willson Auditorium on April 13th and 14th featuring special guest Neeraj Mehta, marimba. Dvorák’s high-spirited Carnival Overture begins the final concert of our 51st season. Then, Tomáš Svoboda’s gorgeous treatment of the most beautiful of percussion instruments is featured in his enchanting Concerto for Marimba & Orchestra, Op. 148. Finally, we conclude the season with Dvorák’s beloved masterpiece, his Symphony No. 9, From the New World.